What are some complications of wearing dentures? 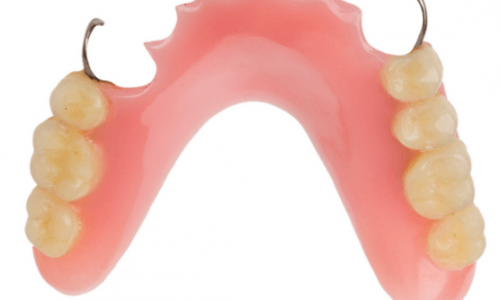 Which partial denture is best suited for my needs? What can I do if I’m not happy with my dentures? Complete and partial dentures in San Clemente. Dentures, or false teeth, are removable dental prosthesis which fill in gaps in your mouth created by missing teeth. Wearing dentures helps replace your missing teeth, whether it’s one tooth, multiple teeth or even all of your teeth that are missing. 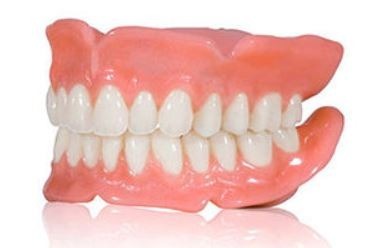 Most dentures are made from pink and white acrylic which closely resemble your natural teeth and gum structure. Since dentures are a removable prosthesis, you can easily take them in and out of your mouth. There are many different type of dentures including complete dentures, partial dentures, immediate dentures and overdentures. Each type of denture has its own implication and your dentist can decide which is best suitable for your needs. What are the benefits of wearing a dentures? Wearing dentures gives you natural looking teeth, an improved smile and a fuller facial appearance. Having missing teeth can be uncomfortable and embarrassing. Dentures offers you reasonable looks, decent chewing function and a decent alternative to your natural teeth. Wearing dentures gives you natural looking teeth, an improved smile and a fuller facial appearance. Having missing teeth causes lots of dental and skeletal problems over the years. Whenever a tooth goes missing, your other teeth start shifting into the missing space. If you don’t replace your missing teeth, this leads to crooked teeth and bite problems. 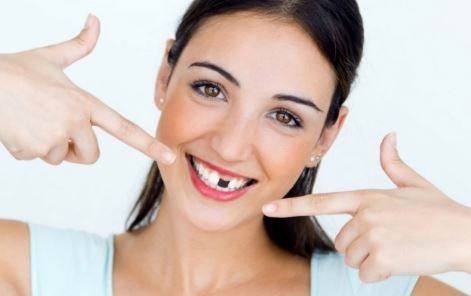 Ultimately, one missing tooth can result in the loss of multiple teeth. Wearing dentures helps support your bite and prevents your remaining teeth from collapsing. Dentures are the most cost-effective way of replacing your missing teeth. The alternative treatments to denture, such as dental implants and bridges, are much more expensive. Plus, denture treatment is mush easier and quicker, whereas most implant treatments take months, sometimes even years, to complete. 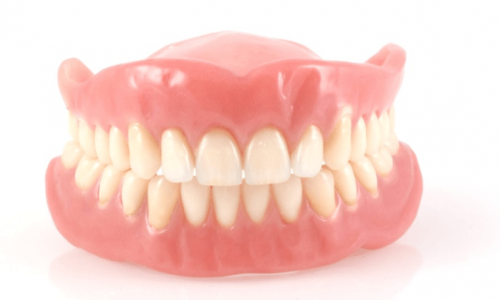 Long-term denture wear can damage your remaining teeth, gums and jaw bone. Wearing removable false teeth is not nearly as comfortable as having your original teeth. If your dentures aren’t stable in your mouth, they can cause many problems. This includes sub-par chewing ability, speech difficulties, recurrent sore lesions and reduced confidence to name a few. Long-term denture wear can damage your remaining teeth and gums. Additionally, wearing dentures for a long time will gradually weaken your jaw bone structure. As your jaw bone continues to shrink, your dentures will become looser and looser. Dentures age rapidly and require replacement every several years. Since denture teeth are made from acrylic, they wear flat with repeated use. This causes your false teeth to lose their effectiveness and compromises your chewing and eating ability. Additionally, dentures break and crack easily, especially if your drop them. As a result, you typically need to replace your false teeth every 3 to 5 years. Full dentures cover your gum tissue and get their stability from suction against your gums. Complete dentures, or full dentures, are false teeth which replace every single tooth in your upper or lower jaw. 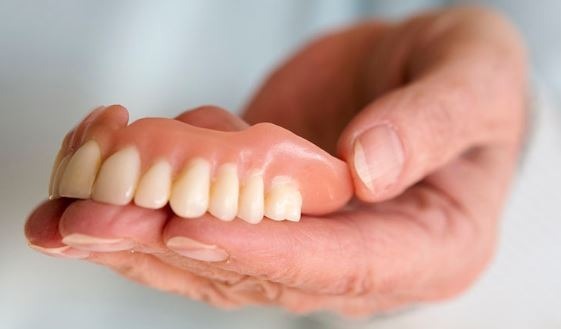 These dentures are made from pink and white acrylic to replace your missing teeth as well as gum structure. Full dentures cover your gum tissue and get their stability from suction against your gums. Most full denture patients use denture adhesives, such as Polygrip or Fixodent, to better keep their false teeth in place. Partial dentures anchor onto your remaining teeth to help support and stabilize your false teeth. If you have lost some of your teeth, but not all of them, then you need to wear partial dentures. Partial dentures, often times called partials, fill in gaps created by your missing teeth similar to any other denture. They also anchor onto your remaining teeth to help support and stabilize your false teeth. Partial dentures are more stable then full dentures and a better option whenever possible. Immediate dentures are made before your teeth are removed. Immediate dentures are designed to replace your missing teeth before you have the teeth removed. They are made in advance using a cast of your existing teeth. Once you remove your bad teeth, the immediate denture is inserted right away. This way, you won’t be walking around toothless during your recovery period. Typically, we recommend wearing immediate dentures for only a short time period. Once healing is complete, permanent dentures or dental implants will replace your immediate denture. Overdentures, or implant supported dentures, are false teeth supported by one or more dental implants. Basically, they are a set of complete or partial dentures anchored onto a few dental implants. Typically, you require between one to four dental implants to support your overdenture. To learn more about overdenture treatment click here. Acrylic partial dentures break easily and are typically for temporary use. Metal partial dentures are sturdy and stable. 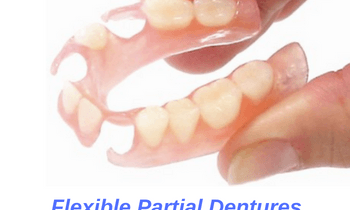 Flexible partial dentures are very study and comfortable and don't contain any metal either. Acrylic partials are the weakest and loosest of all partial dentures. These partials tend to break easily because acrylic is too weak to stand your bite forces. Additionally, acrylic partials tend are very loose since their clasps are quite passive. Typically, acrylic dentures are made for temporary use only and are not recommended as a long-term tooth replacement solution. Metal partials are made from a combination of acrylic and metal. They framework inside. They have a solid metal framework which stabilizes the false teeth and anchors the partial in place. 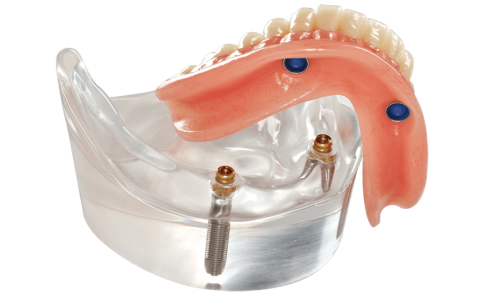 Metal partial dentures are the most common partial denture treatment as they are both comfortable and stable. However, the metal clasps can interfere with aesthetics, especially if you’re missing front teeth. Plus, these dentures break easily if dropped and are very difficult to repair afterwards. 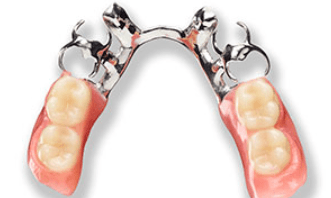 Flexible partials are a more modern type of partial denture. They are made from a resilient plastic that is durable, comfortable and natural looking. Additionally, flexible partials use pink-plastic claps to lock your teeth in place. This makes them a great option to replace your front teeth since these clasps are not as noticeable. Finally, flexible partials are very resilient and don’t break that easily, even if you accidentally drop them. 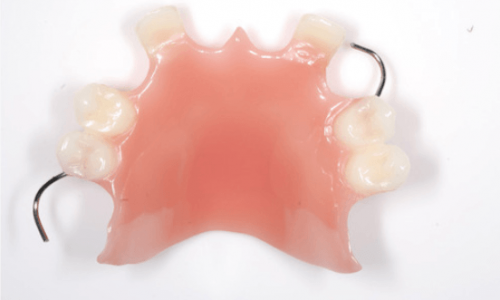 Which partial denture is best for my needs? The ideal type of partial dentures depends on how many teeth you are missing, where the missing teeth are located and condition of your remaining teeth. The type of denture that best suits your needs depends on multiple different factors. This includes how many teeth you are missing, where the missing teeth are located, condition of your remaining teeth and so forth. Ultimately, only you and your dentist can determine which partial denture is most suitable to your needs. Often times, dentures require adjustment to improve their fit. For example, if you are experiencing sore spots, then your false teeth need to be trimmed down. Or maybe your teeth are moving too much and the bite needs to be calibrated. 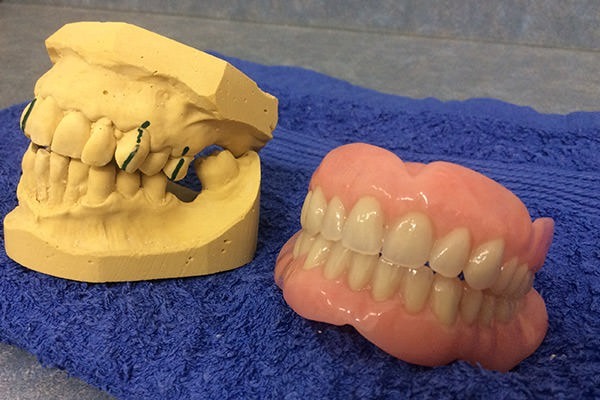 Sometimes dentures become loose over time and a simple reline gets them to fit much better. If you’re experiencing problems with your dentures, visit your dentist to see if they can be adjusted for a better fit. You may be unhappy with your dentures because they are ill-fitting. This could be due to a poor design or simply the result of wear and tear over time. If this is the case, you require a new set of false teeth. Visit your dentist to see if they can make you new dentures. Some patients simply can’t function comfortably with their dentures. Occasionally, denture wearers never get accustomed to their false teeth and find them to be a constant struggle. If you’re an unhappy denture wearer, you should consider getting dental implants in place of false teeth. Thanks to dental implants, almost all denture wearers now have options to replace their missing teeth with permanent teeth. You can use dental implants to either improve the fit of your existing denture or completely replace your dentures with fixed, permanent teeth. Visit your dentist to see why you’re not comfortable with your dentures and to figure out a solution that is going to work for you. Be sure to bring any old dentures you may have so that we can examine them.